Please get lost for ever, and join the real coward, your buddy Hilary, in prison, where she belongs. So her vision is – apparently in order to bring morality to New York – to demolition all hotels in New York? She’s a nobody who got a free ride into the senate to replace Hillary by Governor David Patterson who himself was never elected. Indeed a complete coward. A draft dodger who made up phoney reasons not to serve in the military, while true heroes like John McCain served and sacrificed for the country. A coward too afraid to confront Putin or Kim. A rasha who peddled a fabricated dossier lie and who singlehandedly ambushed Obamacare because because of his animosity to the POTUS. … Obamacare destruction, I meant to write. > A coward too afraid to confront Putin or Kim. I wouldn’t know anything about the Viet Nam war in terms of those who did or did not serve, but it seems rather obvious that current events are more of a concern than a half-century old event. Currently, war-mongering with Putin serves no purpose and would be extremely dangerous. Apparently Putin had no (open) complaints about Trump’s handing the Golan Heights to Israel. Maybe small steps to peace is a much better strategy than large leaps to war. 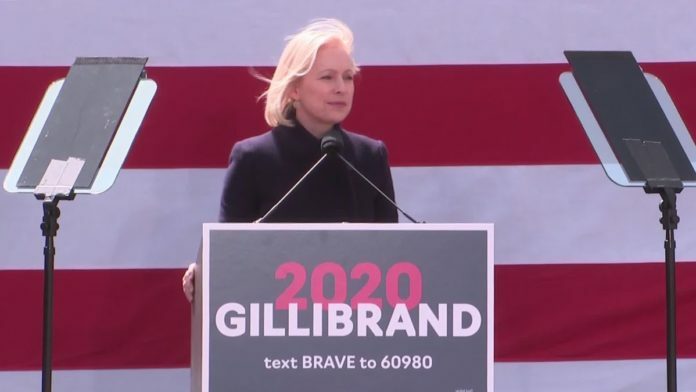 Gillibrand is an embarrassment of a human. Lincoln Chaffee has a better chance of becoming President, than this worthless piece if meat.